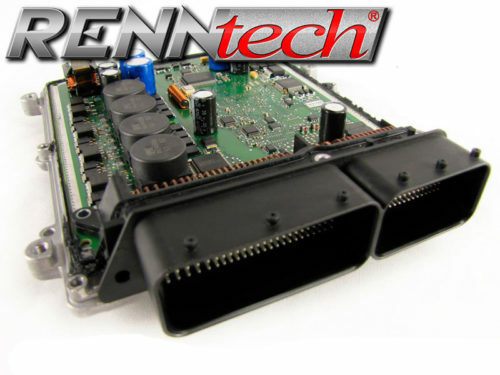 Our proprietary ECU upgrade for the Mercedes M278 Biturbo engine offers huge gains in performance across the entire RPM range without sacrificing around town comfort or daily driver reliability. With the newest update of their Software Upgrade for the M278 – 4.7L V8 BiTurbo, RENNtech boosts the 550-Series to AMG Power Levels. 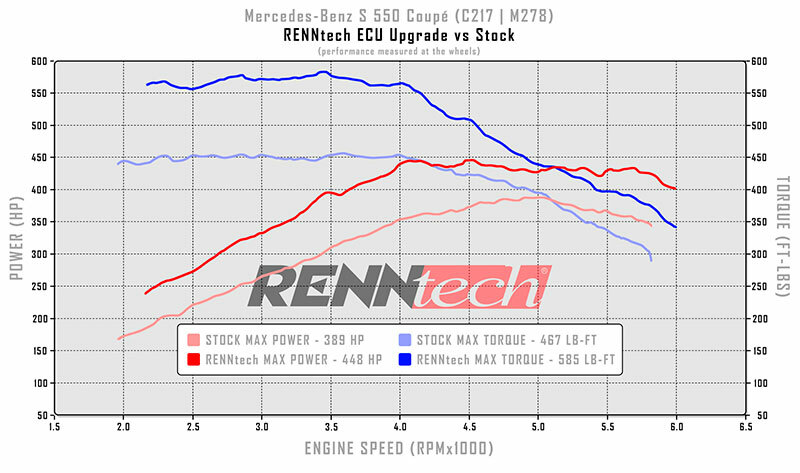 The RENNtech upgraded M278 now produces up to 540 HP and 705 LB-FT at crank. Compared to power numbers by Mercedes-Benz, the S 550 Coupé gains up to 66 HP and 139 LB-FT. 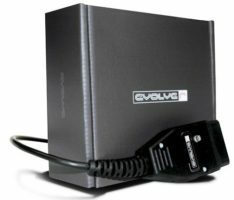 This Software update delivers up to 10 HP and 99 LB-FT more than the previous version. The vast amount of increased torque across the entire RPM range gives the 550 an extra edge to compete with AMG powered vehicles. 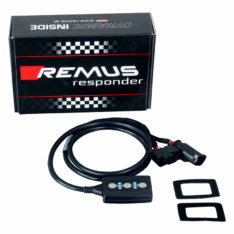 All this without sacrificing around town comfort and daily driver reliability. 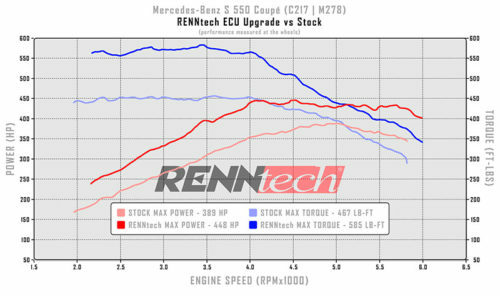 We have found the M278 engine stock performance numbers vary from the baseline figures claimed by Mercedes Benz. We typically see higher baseline numbers than claimed by the factory. Power gains are calculated based on stock numbers measured by RENNtech. Crank Performance Numbers are calculated with a 17% Drivetrain loss on 4MATIC vehicles.